Although not a massive geek in things IT and only a bit in Photography the whole Lytro thing does get the inspiration/geek mojo going – exciting science. Although not hugely amazing in terms of being able to walk around a scene or anything like that – it is still rather cool. 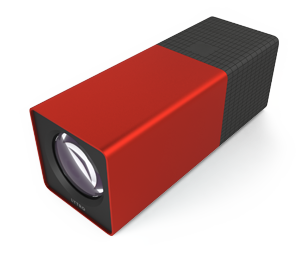 If you’re not aware of Lytro – it’s the camera where you can change focus after taking the picture! There are plenty of examples on their YouTube page. When it was first announced I thought – oh – it’ll only be a fad. And I still think it’s a little bit of a fad and will unlikely have a place in “serious” photography or at least for a while yet – mostly as you need a special viewer to use the pictures fully – but I now think it’s rather cool and fun. The “cool” bit is the geeky science behind it – the “light field” technology. As I understand it : when recording the light hitting the sensor (as normal digital cameras do) they can also measure in what direction all the light was travelling in – be it photons or pixels. And with this data – then can calculate where the light would be a bit earlier or later and so mathematically alter where the virtual sensor is – thus changing focal point. I assume that this perspective addition is similar but different mathematics. When announced I was expecting them to be massive and expensive – but they’re actually quite small – compact camera size! They’reselling for $499 and $399 so ~ £250 and £320. Am I tempted to get one – well a little, just for the geekery. Will I ? Probably not, although not new at full price…. Seeing as they don’t currently have an outlet/distributor in the UK I guess 2nd hand ones won’t be available in the UK for a while yet. This entry was posted on November 16, 2012 by Daf. It was filed under Bits of interest, Ramblings and was tagged with geek, light field, lightfield, Lytro, perspective, Photography, science, technology.